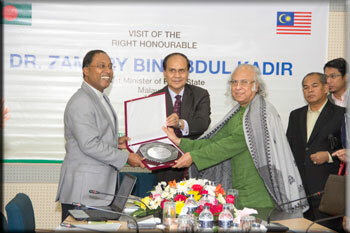 Dr. Zambry Bin Abdul Kadir, the Chief Minister of Perak State, Malaysia, paid a visit to PKSF as a part of his four-day official visit to Dhaka, Bangladesh on January 14th, 2016. The State of Perak, one of the 14 states in Malaysia, also known as the ‘Land of Grace’, is marching ahead to economic progress in a steady pace. Various programmes dedicated to socio-economic development are being implemented in Perak State. Particular mention may be made of Yayasan Bina Upaya (YBU) (Foundation for Capacity Building) that seeks to unleash the potential of the marginalized groups to end their poverty. Dr. Qazi Kholiquzzaman Ahmad, Chairman, PKSF and Mr. Md. 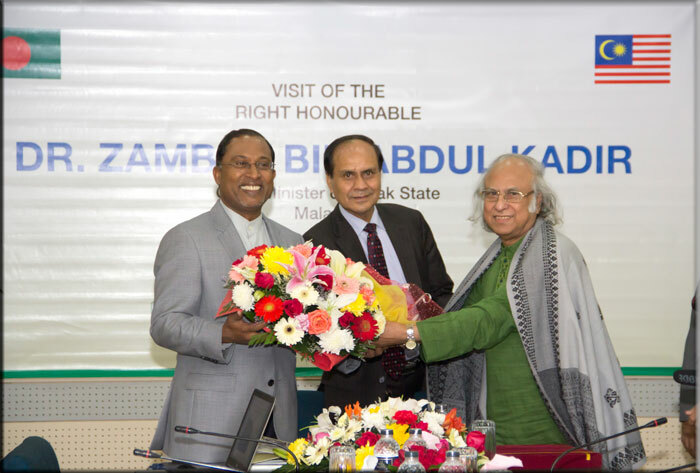 Abdul Karim, Managing Director, PKSF warmly welcomed the Chief Minister of Perak State, Malaysia at PKSF Bhaban. 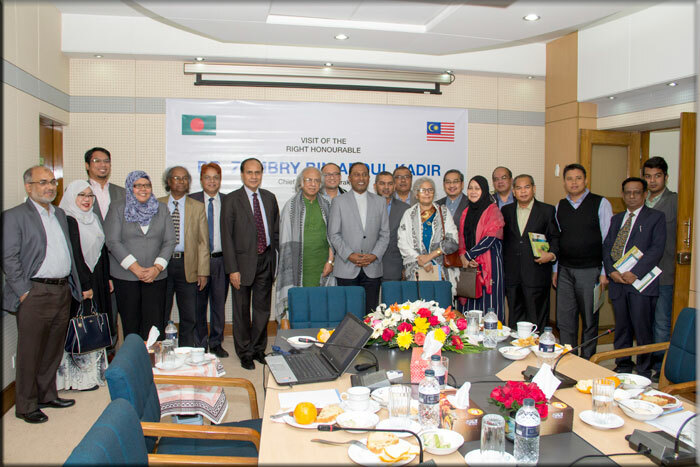 Also present in the meeting were the high officials of PKSF and heads of some of its Partner Organizations. Mr. Md. Abdul Karim made a brief presentation on PKSF’s emergence as an apex development organization, which also reflected the progress and impacts of major PKSF interventions. The members of the entourage of the Chief Minister made some interesting inquiries. Dr. Qazi Kholiquzzaman Ahmad, Chairman also highlighted on the comprehensive mission of PKSF. This visit was friendly in nature, however, the deliberations opened up areas of mutual cooperation between Perak State’s development organizations and PKSF.